This was done as a favor for my friends band, Leper. It will be printed on charcoal gray t-shirts. I would have loved to have more time to take this much further, but because it was done as a favor, I was only able to work on it a little here and there in between my paying jobs. It was a fun little piece to work on though. 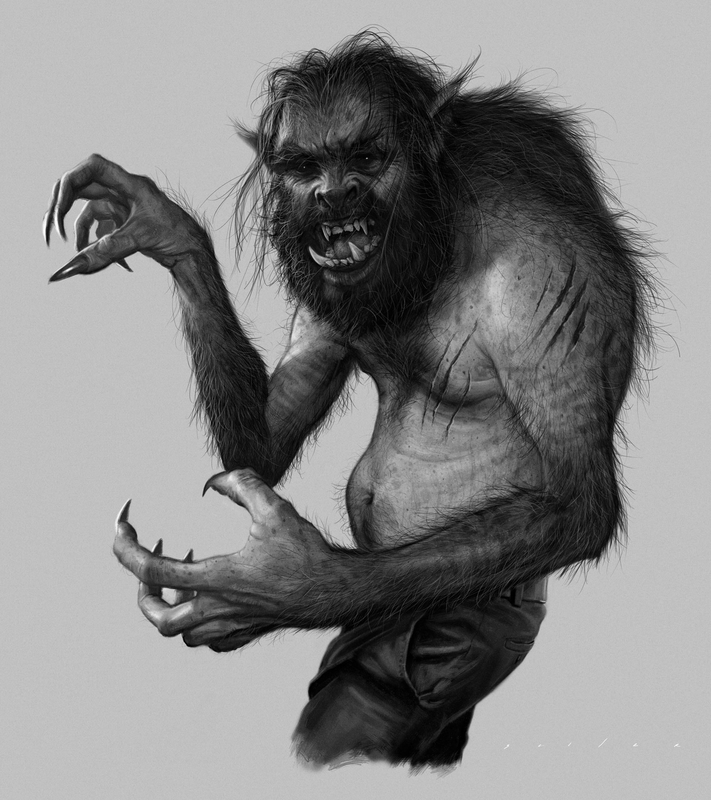 I wanted to do an original looking wolfman, so I didn't look at any references, instead I just had fun, used my imagination and just rolled with it.